Two weekends ago, a couple of friends and us went Apple picking in Ellijay, GA, around 80 miles north of where we live. I have never been picking before so this was a fun and memorable experience. My first time in an Apple Orchard too, so I was super thrilled. My friend and I were so eager to pick, we couldn't resist even after our bag was pretty full! 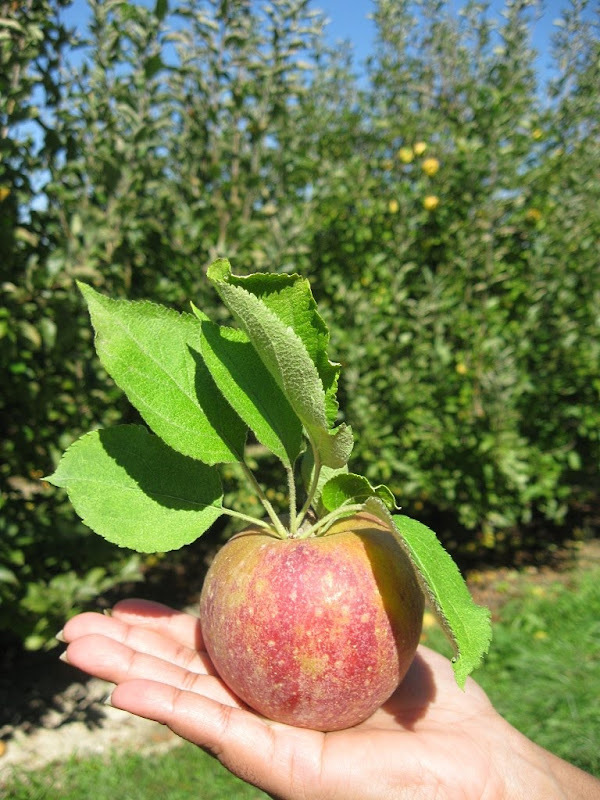 We picked Golden Delicious and Gala apples. 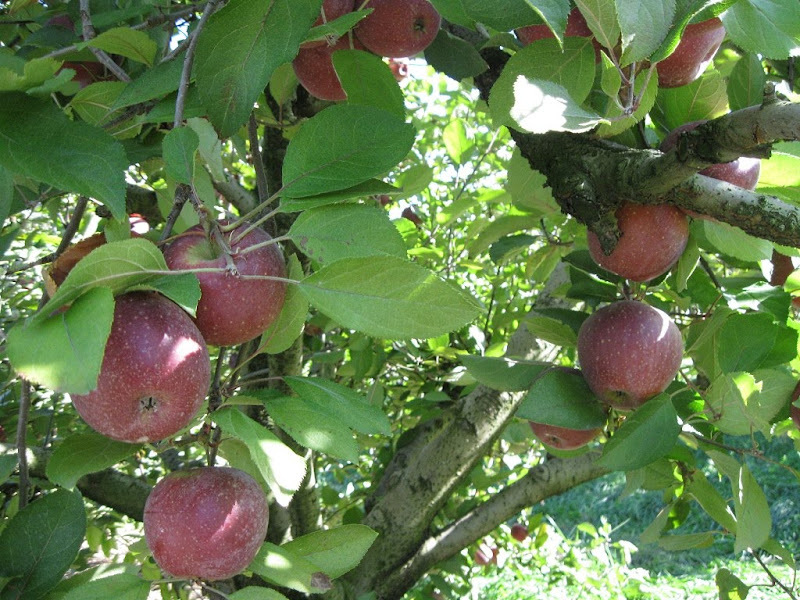 The apples looked gorgeous and so inviting, waiting to be plucked, and were a sight to see! 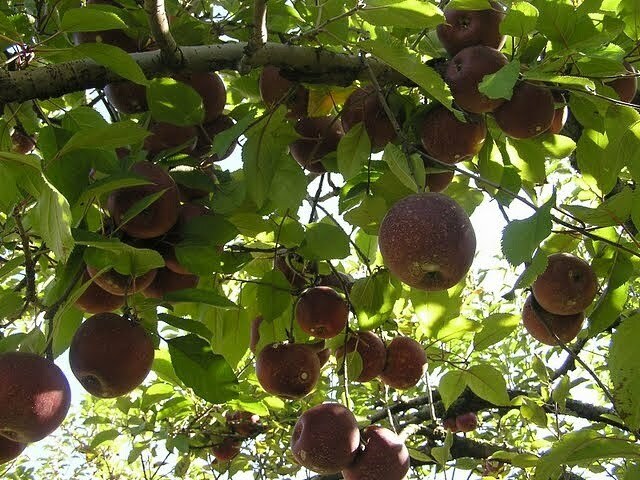 We've been munching on these picked fruits the past week and still have plenty left. 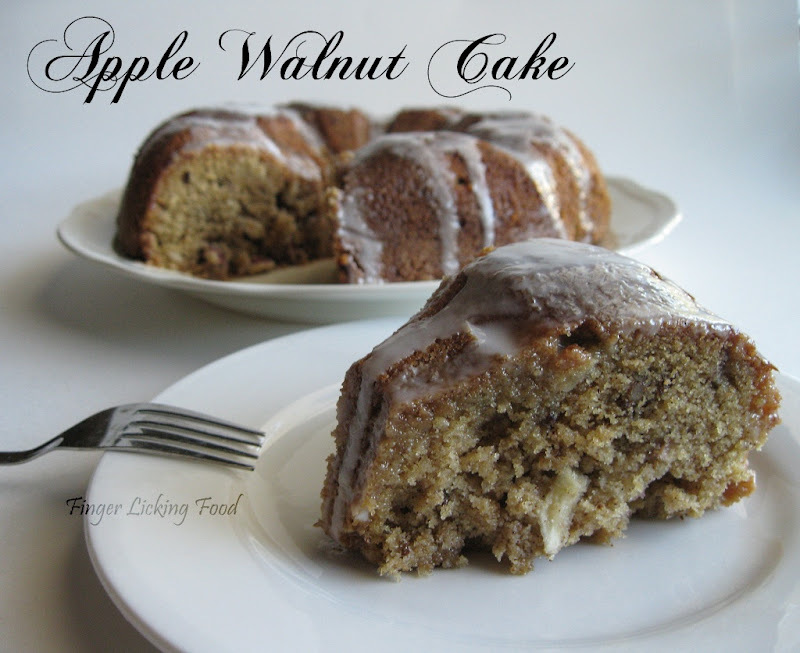 I am not big on Apple Pie so I made something I'm more familiar with and love hands down..cake..Apple Walnut Cake. In a large mixing bowl, blend all ingredients except chopped apples and walnuts with electric mixer. Stir in chopped apples and nuts. The batter will be thick. 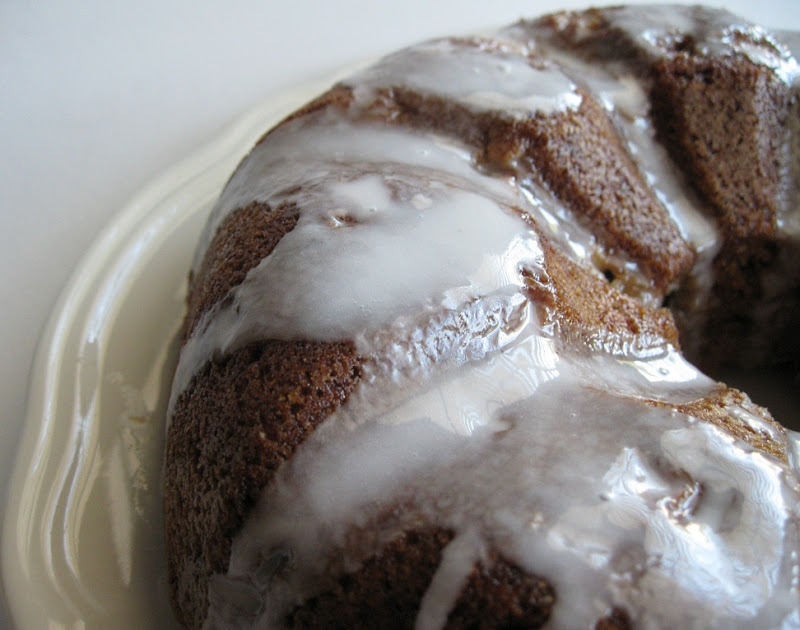 Spread into a generously greased and floured 10-inch Bundt cake pan or tube pan. I used a Silicone pan, which needs no greasing. Bake at 325° for 55 to 65 minutes, until a wooden pick inserted in center comes out clean. Cool in pan for 15 minutes; turn out onto serving plate to cool completely. Drizzle with a vanilla glaze. Blend all ingredients until smooth. Add more milk if needed to achieve a pouring consistency. Drizzle over cake. 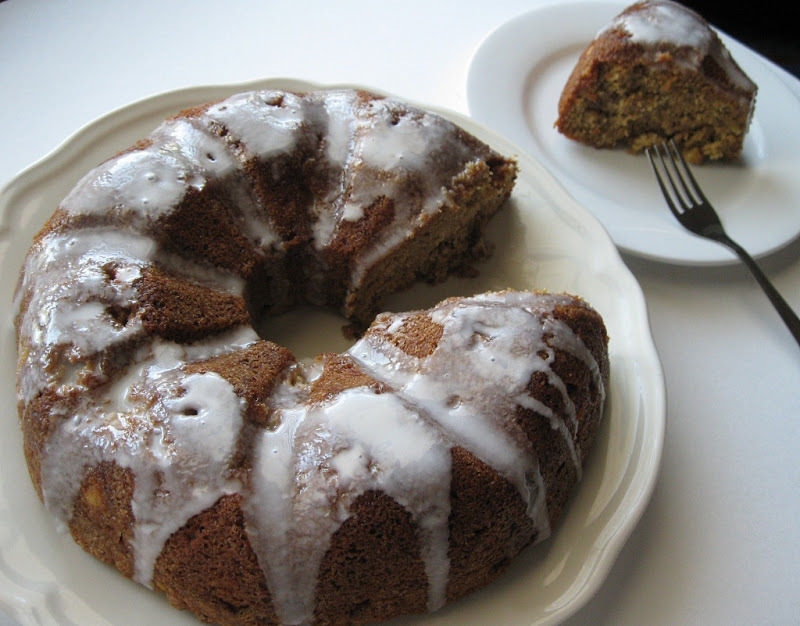 The cake was moist and flavorful but the apple flavour didn't shine through as much as I expected. I would probably add more apples the next time. Aww aww, look at the glaze!perfect. That cake is so wonderfully moist. That's a nice one, perfect for fall! jus made this cake yesterday..